1) A museum has guests. The Museum of Agriculture does not have guests. From the disbelieving looks on the employees’ faces, we were the first foreigners visiting the museum since the woman or man from Lonely Planet discovered it. The other few museum patrons were there for picnicking or loitering purposes, but certainly not to see the museum itself. 2) A museum requires and undergoes regular upkeep. The Museum of Agriculture requires but does not undergo regular upkeep. It is set up similar to the National Mall in that the museum is a group of five buildings centered around a green space that has trees and statues in it, but the comparison ends there. The statues are placed without any apparent design and the lawn and trees have been left to their own devices ever since they were planted. The museum employees are hired to be present at the museum but not to do anything to it, in order to preserve the natural deterioration process. Thus, a thick layer of dust and one case bird droppings coat all display cases, broken exhibits remain unrepaired, and all textiles within the museum are in danger of turning into dust at the touch of a finger. 3) Some museum employees are knowledgeable about the museum and its contents. There is a curator. From what we saw, no museum employee knew anything about Egyptian agriculture or this museum dedicated to its existence aside from its hours of operation. The Agricultural museum employee’s job is this: “Sit or stand near the entrance of the hall. Should anyone walk in, stare at them. Open and close the doors at the appointed time. Avoid dusting or improving the museum in any way.” As for the curator–should he exist– he is either dead or has been on vacation for the past three decades. The star museum employees assist people in entering the exhibits and taking pictures with the mannequins while sweating on them and gesturing wildly, afterwards demanding extra money for having clearly gone above and beyond his normal call of duty. 4) The museum exhibits are educational. Are you getting the dusty attic feeling? 5) The museum exhibits are not to be touched so as to preserve them for the next visitors. For this reason, there is surveillance of some kind to prevent the most curious from overstepping their bounds. 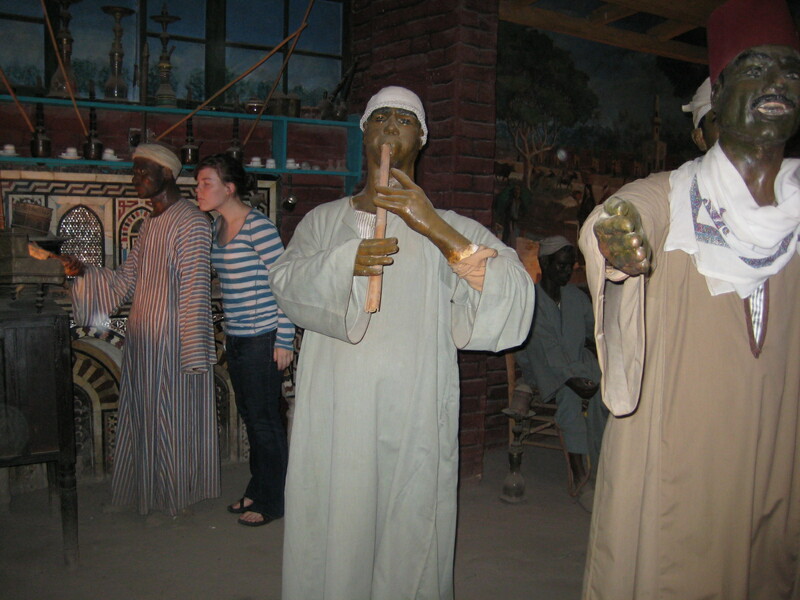 In the Museum of Egyptian Agriculture, you are almost completely alone and can do whatever you want. The entire place feels forgotten if not yet abandoned. Climbing into the exhibits and taking pictures is encouraged, as well as exploring blocked off parts of the halls and rifling through anything that isn’t encased in glass. 6) The opportunity to interact with material not yet put on display is minimal. 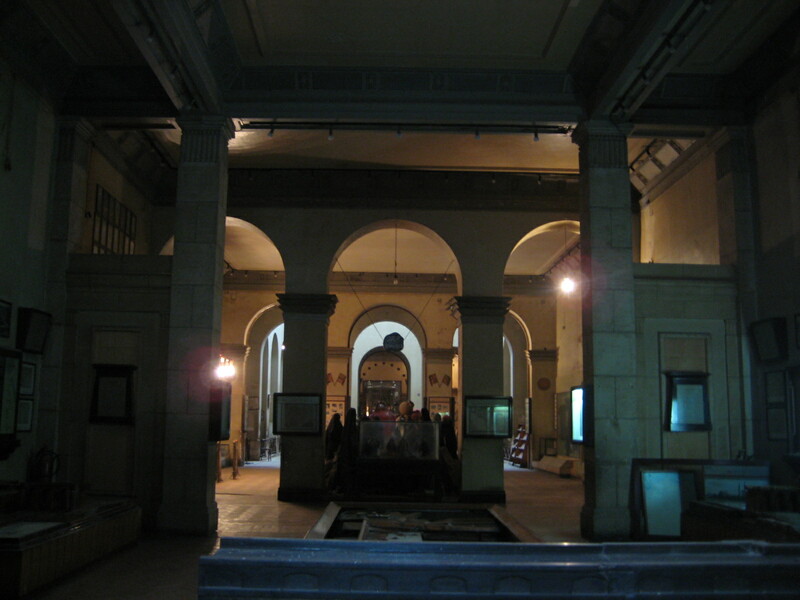 At the Museum of Egyptian Agriculture, there is a cabinet full of documents and photos as well as bin full of antique cigarettes on the second floor of the Hall of Horticulture in a nook on the landing with some agricultural tools in it. Feel free to look at the photos and guess what they might be. Consider the very slim odds of them every being used or seen by someone who might actually be interested in the information. 7) The only fun to be had is through the joy of learning. The best part of the agriculture museum experience was being able to run around in it like kids and cause a ruckus, feeling like we were breaking all the rules even though there were no rules to be broken in the first place. Also, the green space within the complex was a real joy, complete with nice trees, cool birds, and two little pergolas. Though using the word paradise might be too strong, it certainly felt like a land preserved outside of time and space, which I suppose is the purpose of a museum though in this case it was achieved accidentally.